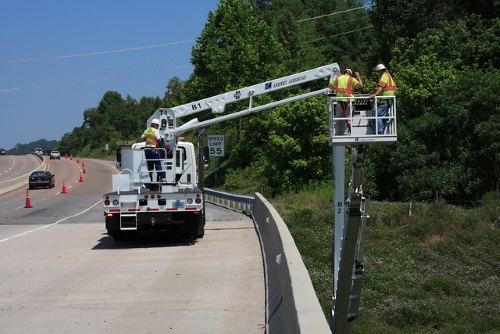 The American Association of State Highway and Transportation Officials released the second edition of its Manual for Bridge Element Inspection reference guide on March 25. This edition replaces two current AASHTO publications: The first edition of the MBEI, published in 2013, along with its 2015 Interim Revisions. The MBEI – which can be ordered by clicking here – includes standardized element definitions, element quantity calculations, condition state definitions, element feasible actions, and inspection conventions. Its goal is to capture the condition of bridges using standardized national terminology and calculations, while at the same time providing enough flexibility to be adapted by both large and small agencies. The new second edition of the MBEI – developed as a result of the NCHRP 12-104 “Guidelines to Improve the Quality of Element-Level Bridge Inspection” – attempts to cover the majority of highway bridge elements found in the United States and includes changes suggested by numerous inspecting agencies, consultant inspection firms, and training instructors. AASHTO noted that this manual is designed for use by state departments of transportation and other agencies that perform element-level bridge inspections.